JUST A TRANQUIL PLACE to let nature entertain you! Hocking Hills that is, for a vacation you will always remember. Explore the Hocking Hills region by day and at night, relax in a bubbling hot tub on our deck and soak your cares away. You can even discover our small cave on the property! Over 40 Acres to hike! Find yourself nestled in the woods by a rippling stream in the luxury of a cabin with all the comforts of home and more. Check out our virtual tours on individual cabin pages! You will, most likely, find few other cabins in the region that sit on property that provides a near mirror image of the beauty of the Old Man’s Cave and Ash Cave you have come to love. 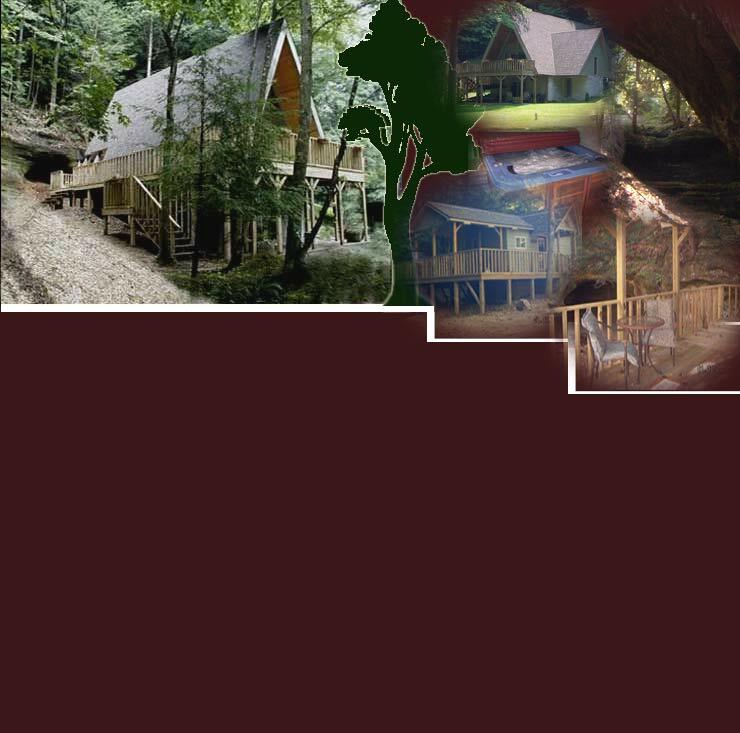 Our own recess caves echo of the distinctive splendor of Ash Cave, and the beautiful hemlocks surrounding our cabins mirror those peering over the cliff edges of Old Man’s Cave. 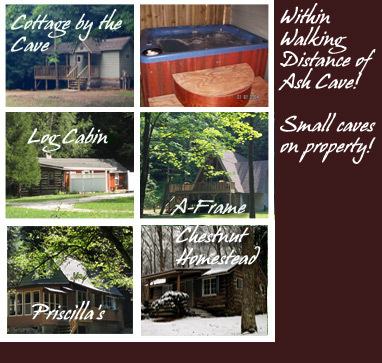 When you come to the Hocking Hills, surround yourself in what you love . . come to Tranquil Retreat Cabins. Check Availability or Make A Reservations Request Here!